A fragrance free sensitive conditioner suitable for all hair types. 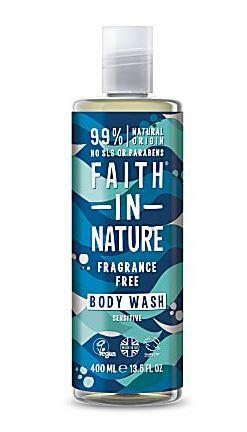 Faith in Nature's Fragrance Free Conditioner is an hypoallergenic formulation to gently condition your hair and scalp without the use of essential oils or fragrance. How to use Faith in Nature Fragrance Free Conditioner; After shampooing, apply conditioner to damp hair. For best results leave on for 5 minutes then rinse well. Compliments Fragrance free shampoo. In case of contact with eyes, rinse with clean water immediately, If irritation occurs, stop use. Keep out of reach of children.